Are you a society treasurer who has been handed over hundreds of flats and apartments to manage in a residential society? 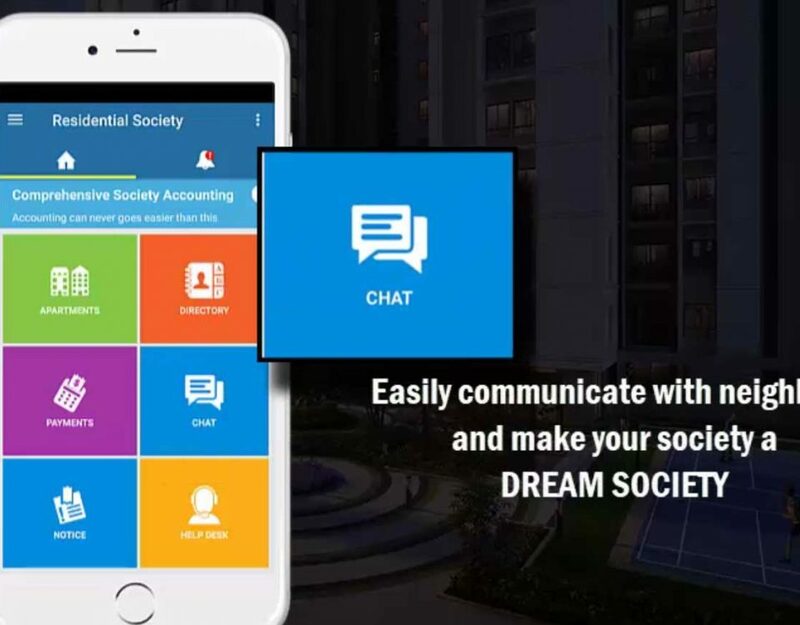 Are you managing multiple tasks such as sending payments invoices to society members, tracking housing society monthly maintenance collection, sending reminders to society members for late payments etc. All this seems like a daunting task. And you are no superhuman! All these tasks take a toll on your precious time which can be used to manage other things. No matter how good you may be at your school time arithmetic lessons and calculations but keeping track of lakhs of money can drive you way too tired and frustrated at the end of every month. Neighbium can solve all your payment related problems in a matter of minutes and too very effectively. Here is what Neighbium can do for you. Now sending payment invoices to society members can be much faster. In fact it can be automated using Neighbium society management software. The process of sending payment invoices will be a seamless affair as Neighbium acts as your one stop shop platform which allows you to send payment invoices without having to wait for your command. The days are gone when treasurers used to handle large volumes of invoices manually. The treasurer can witness automatic invoice generation against each flat for regular and fixed charges including the monthly maintenance fee. Gone are the days when the treasurers of societies had sleepless nights trying to track the late payments from the members. 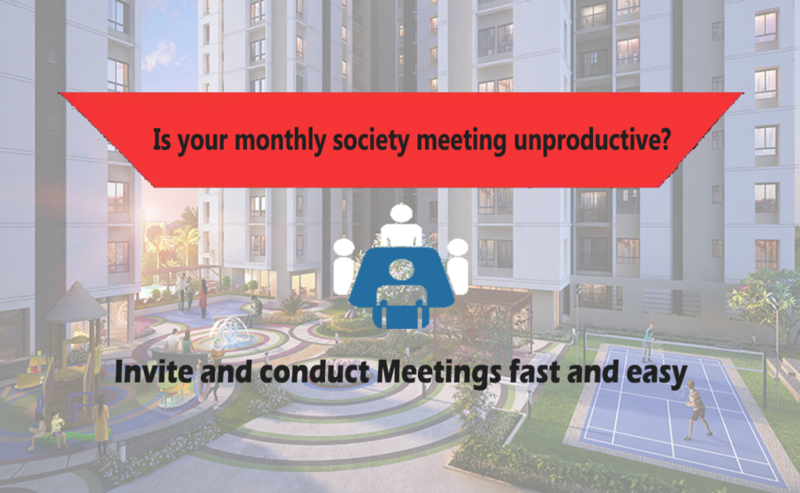 If some society members have failed to pay the annual society maintenance charges on time, Neighbium allows you to track housing society monthly maintenance collection and automatically calculates the late payments for your records. Monthly sinking funds is a quite useful collection which helps you pay for your utilities in the future such as cable, internet, electricity, gas, water etc. 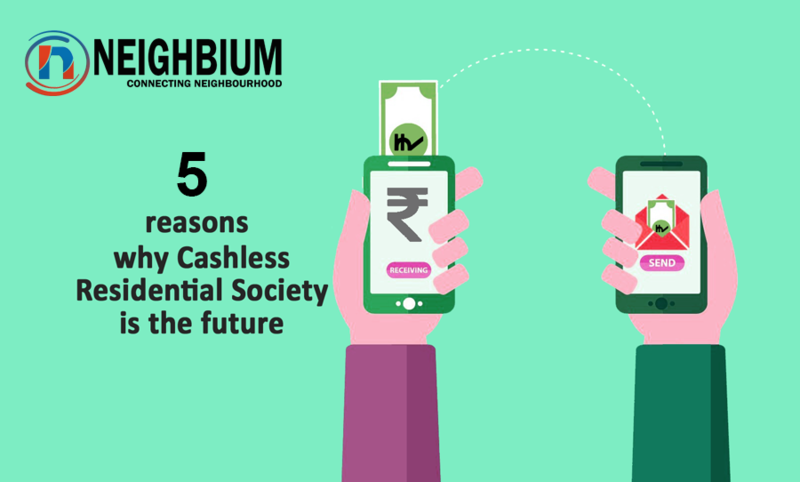 Neighbium also helps track and automatically gather the monthly sinking funds collection from society members. This saves you from delving in too hard and wasting time plus energy trying to understand the gaps in payments and accounts. 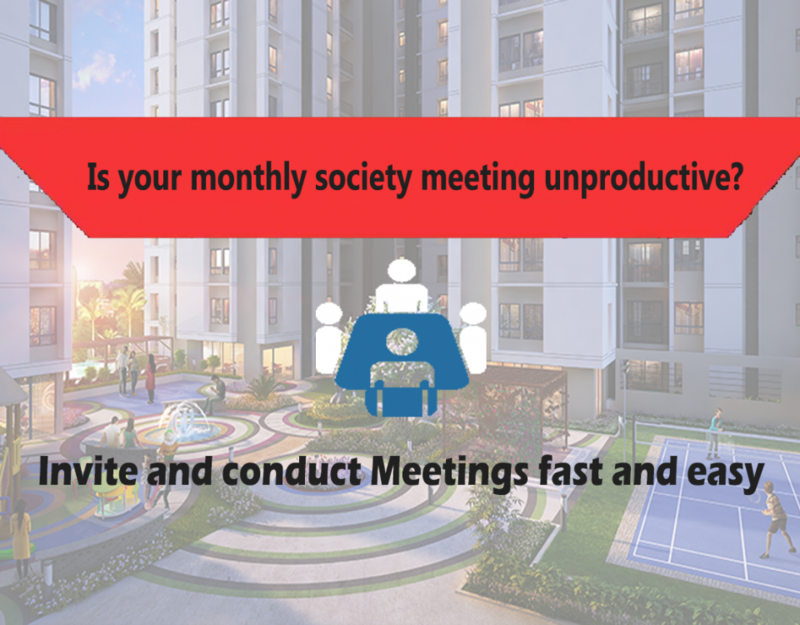 Well, as you know, every society member cannot be punctual when it comes to payments, its human nature after all! While some society members might surprise you by paying on time, some might pay in advance but there will be lazybones who will be defaulters and might need several reminders for payments. When Neighbium is there, you can relax all your worries away. Send automatic reminders to payment defaulters via Email and SMS, with amount specific to each defaulter. 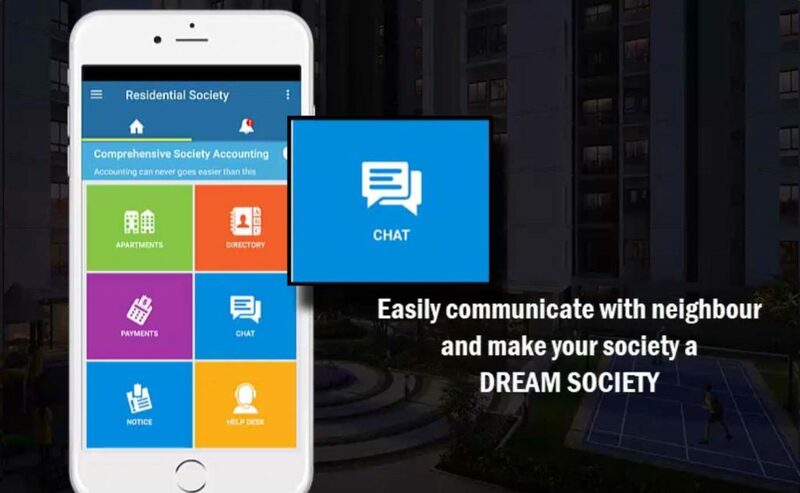 The comprehensive society management software allows you to track pending payments for any flat and also calculates the total outstanding payments for you. It also takes away your load of creating reports for pending payments. You can generate pending payments reports with great ease and track the pending dues by simply logging in to the app. Thus every member is also reminded of the pending payment and no one complains about not being informed or reminded! Neighbium allows you to generate the custom payment invoice against any Flat. All accounting entries will be prefilled by the system. To keep a society functioning well, annual maintenance charges need to be collected from the society members but sometimes there is a need to send custom payment invoices against any flat for example, in some cases a society member might have a higher electricity consumption or water consumption. Neighbium can help you prepare custom payment invoice against any flat. The process of recording payment summary of each flat is the most complex one. Neighbium helps you track and record advance amount collected, outstanding payments and payments overdue. Under one roof, Neighbium takes care of all society related payment processes. 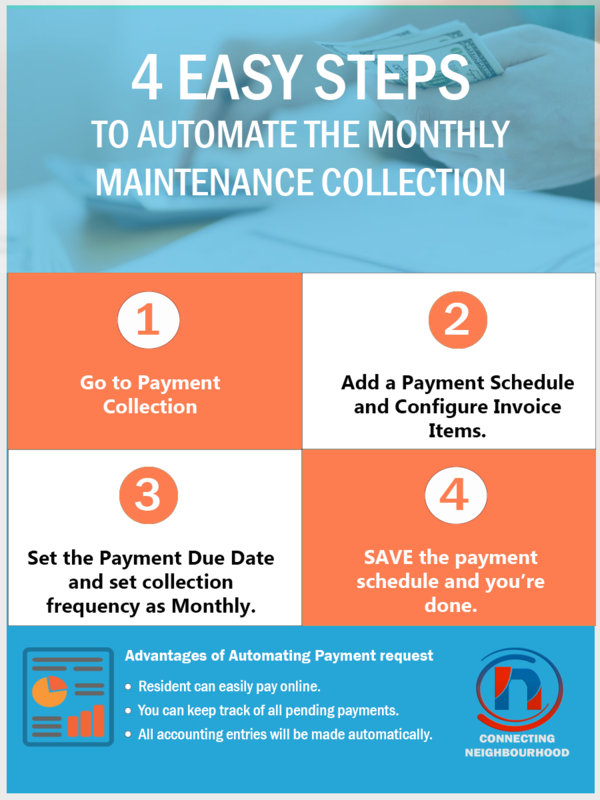 Right from tracking housing society Monthly Maintenance Collection to automating society accounting, it provides an efficient way to organize all kinds of payment collections. It handles every critical aspect of monthly payment cycles and helps you take charge of society payment collections like a Pro.